Senior oceans campaigner at Greenpeace, Louise Edge, has said a study which found plastic particles in human waste raises "a lot of worrying questions". 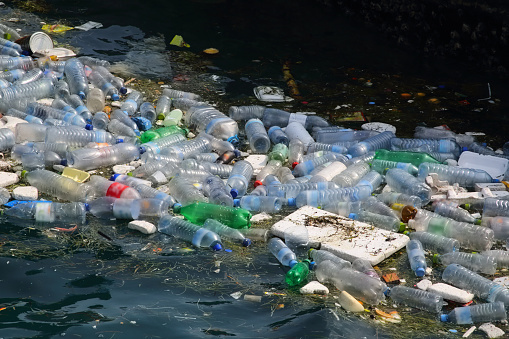 Appearing on the breakfast show, Ms Edge said the idea that humans could be ingesting plastic was "deeply shocking", but it was "not suprising". "It's deeply shocking to think we might be eating plastic. In a way it's not surprising to anyone that's been following this issue as its played out," Ms Edge told Julia Hartley-Brewer. "We've already found that wherever scientists look in the marine environment they're finding plastic. In the Arctic they're finding plastic in the ice, if they look in the deepest ocean trench they're finding plastic. They're also finding it in seafood, they're finding it in salt. There was a recent study out last week where 90 per cent of the salt sampled had plastic in it. They're finding it in our air and they're finding it in our water. So in a way, this is the next logical step." Ms Edge appeared on the show to discuss a recent study carried out by the Medical University of Vienna in Austria, which found microscopic plastic particles in the excrement of all of its eight participants who were from the UK, Finland, Italy, the Netherlands, Poland, Russia and Austria. The pilot study asked participants to keep a food diary for a week before having a stool sample, which showed every participant was exposed to plastic, by consuming plastic-wrapped food or drinking from plastic bottles. None were vegetarians, and six ate sea fish. "The question is where it's coming from," Ms Edge said. "The study seems to say the more obvious route is you're eating seafood or you're drinking water with plastic particles in it, but this study was also saying they thought another option was the plastic bottles. A lot of what they found was polyethylene terephthalate (PET) which is what your average plastic water bottle would be made of. "They opened the option that we could be getting contaminated by using the water bottle or plastic packaging that's around food. All of that is to be examined." Ms Edge added that there was "a lot more work to be done" and that a larger version of the study needed to be conducted. "When you get these tiny pieces of microplastic floating around in the oceans they're not only releasing the chemicals that are in the plastic, things that are put in to soften plastic which have been linked in studies to feritlity issues, but there's a phenomenon where they actually seem to be attracting chemicals from the sea which is very odd. "Things like DDT have been banned because of their impacts and the fact that they build up in the body, are actually attracted to these tiny pieces of plastic so theoretically we could, if we're taking them in, be accumulating that. "This study raises a lot of worrying questions."